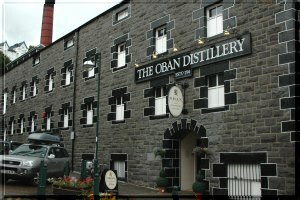 Oban is a port from where one can sail to the Western Isles. The Caledonian MacBrayne Company operates ferries serving the Inner Hebrides and some of the Outer Hebrides. 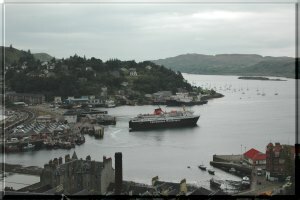 These ferry sailings give Oban its name of "Gateway to the Isles". It has many art shops, a couple of large supermarkets and a renowned distillery that is well worth a visit. The whisky is on sale at the distillery at a lower price than elsewhere. 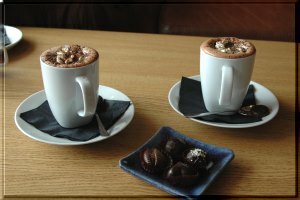 Also on the sea front is the wonderful Oban Chocolate Shop worth visiting both for delicious freshly made chocolates as well as the wonderful hot chocolate. Just the thing after the distillery tour! 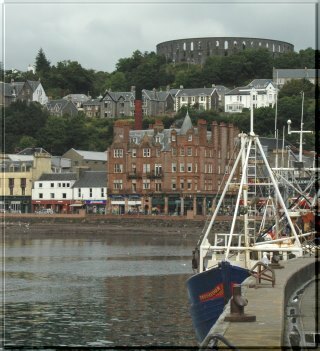 On the hill overlooking Oban and behind the distillery is McCaig’s Tower which is a folly based on the Coliseum in Rome.